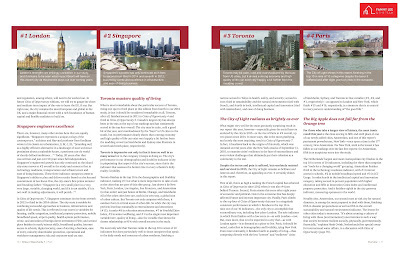 What is most remarkable about the particular success of Toronto, rising one spot to third place in this edition from fourth in our 2014 study, is that it should be considered remarkable at all. Toronto, after all, finished second in 2011 in Cities of Opportunity 4 and third in Cities of Opportunity 5. Canada’s largest city has always been in the mix at the top of our rankings and has consistently scored in the top four overall. The city may be calm, cold a good bit of the year, and overshadowed by the “buzz” in US cities to the south, but its performance clearly shows that a strong economy and high quality of life can exist very happily a bit farther from the madding crowd (as Stockholm and Sydney also illustrate in seventh and tenth place, respectively). Toronto is impressive not only in that it does so well in so many areas but in the company it keeps in doing so. The city’s performance in our demographics and livability indicator is key in pinpointing that aspect of the city’s success, since this is the indicator that assesses the bottom line in every urbanite’s daily reality: livability. 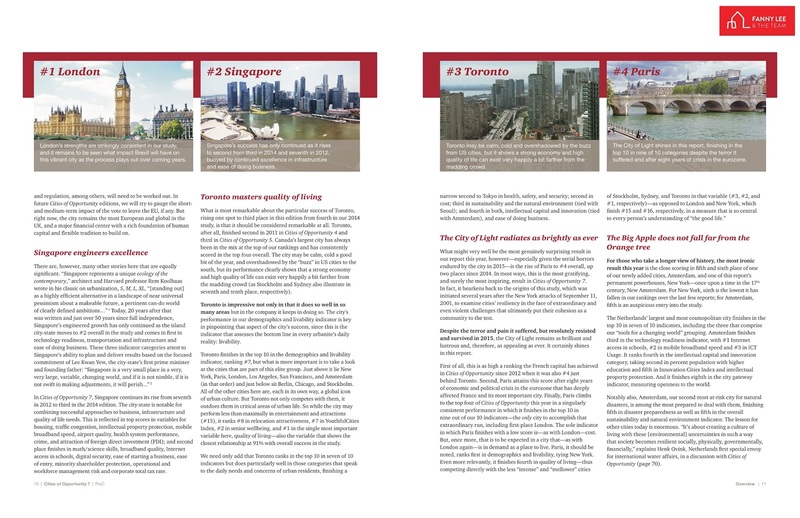 Toronto finishes in the top 10 in the demographics and livability indicator, ranking #7, but what is more important is to take a look at the cities that are part of this elite group. Just above it lie New York, Paris, London, Los Angeles, San Francisco, and Amsterdam (in that order) and just below sit Berlin, Chicago, and Stockholm. All of the other cities here are, each in its own way, a global icon of urban culture. But Toronto not only competes with them, it outdoes them in critical areas of urban life. 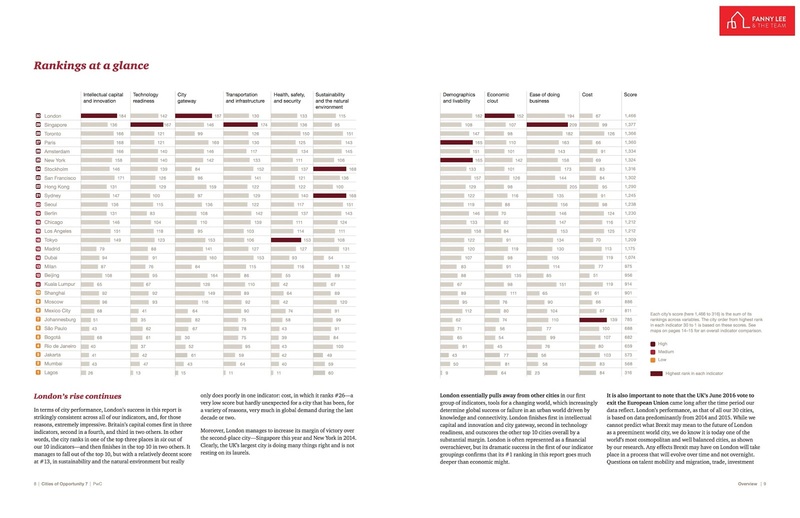 So while the city may perform less than maximally in entertainment and attractions (#15), it ranks #8 in relocation attractiveness, #7 in YouthfulCities Index, #2 in senior wellbeing, and #1 in the single most important variable here, quality of living—also the variable that shows the closest relationship at 91% with overall success in the study. We need only add that Toronto ranks in the top 10 in seven of 10 indicators but does particularly well in those categories that speak to the daily needs and concerns of urban residents, finishing a narrow second to Tokyo in health, safety, and security; second in cost; third in sustainability and the natural environment (tied with Seoul); and fourth in both, intellectual capital and innovation (tied with Amsterdam), and ease of doing business.